Another round of Genre has started, and I finally have something new for it! Feels like it has been forever and a day since the last time I participated! 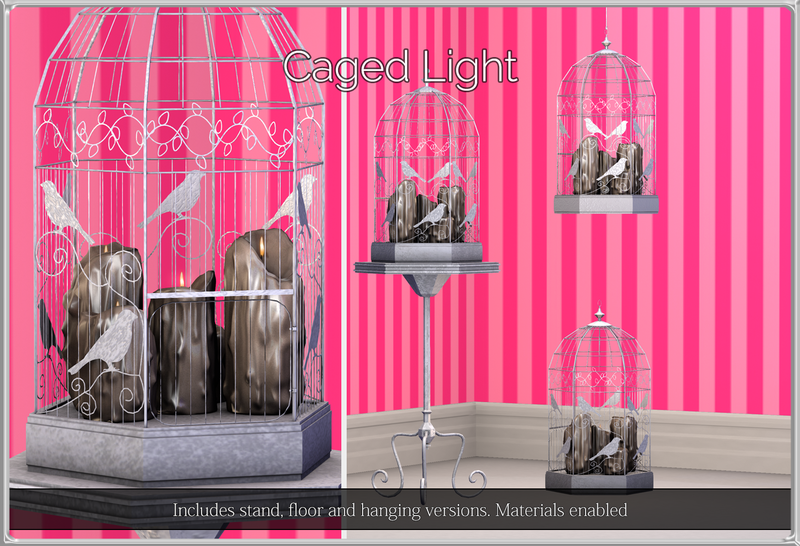 I decided to make a decor item this time, just for a little something new. 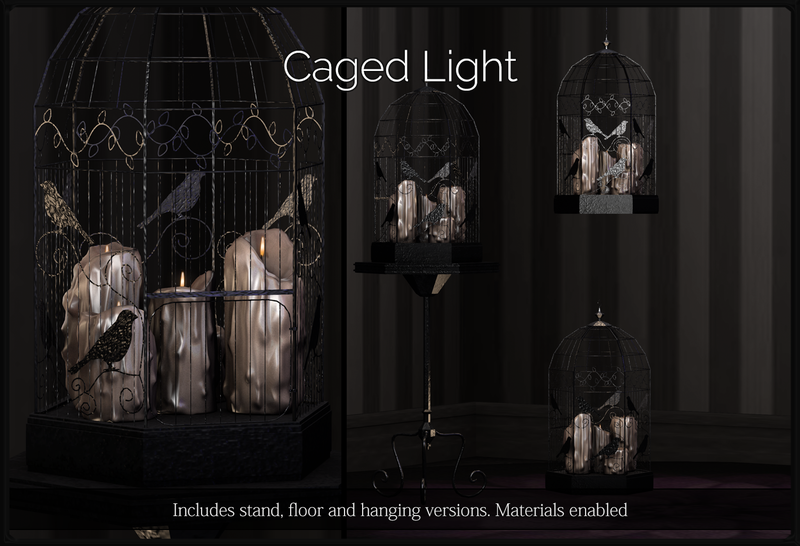 Introducing the Caged Light set, available in both light and dark versions! 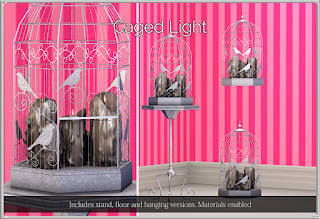 Each set comes with a standing, floor and hanging version, and all are modifyable so you can make adjustments for them to fit where you would like to display them! These are 100% original mesh, and are currently 50% off during the event duration only!